Tioga’s Mariah Culver. Provided photo. 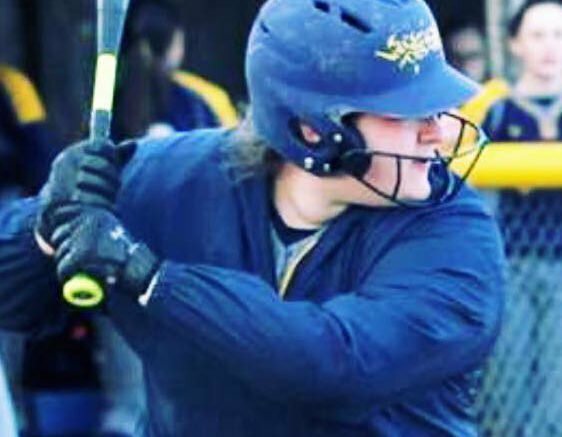 Senior Mariah Culver, from Tioga Central, was recently named a Class C, fourth-team all-state performer by the New York State Sportswriters Association. Culver, described as a dynamic two-way performer, was honored as a pitcher and designated player. Culver hit .456 (31 hits in 68 Abs) with five doubles, three triples, three home runs, eight stolen bases, 19 runs scored, and 25 RBI. She also had a .750 slugging percentage and a 1.243 OBP. In the pitcher’s circle, Culver posted a 1.36 ERA in 67 innings. She allowed 36 hits and 23 walks, while striking out 123. Opposing batters hit just .149 against her. Culver will be playing collegiately at Division II Caldwell University in the fall. Be the first to comment on "Tioga’s Culver earns fourth-team all-state recognition"